A police officer warned his force’s press office against answering media queries made by a daily newspaper, a Freedom of Information request has revealed. 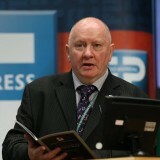 The National Union of Journalists has asked for clarification from the Police Service of Northern Ireland that it treats all media outlets equally, after the remarks were revealed in an FoI response to the Irish News. The Belfast-based News had initially asked PSNI for an update on proposals to re-introduce its alcohol test purchasing scheme, which involves using teenage volunteers to test whether pubs and off-licences will sell them alcohol. The unnamed officer’s response to the request is detailed in an internal email between them and a press officer with the force, which has been made public after an FoI request was submitted by the same newspaper. Séamus Dooley, pictured abover left, NUJ Irish secretary, has called on police to “urgently clarify” their position and “confirm that they do not differentiate between different media organisations in relation to information in the public interest”. He added: “I would find it unacceptable and worrying if the press office were to release information depending on the source of the query. PSNI say the officer’s concern related to releasing details of the test purchasing scheme ahead of consulting “stakeholders”. Liz Young, head of corporate communications, said: “This is an operational area that requires input from a range of stakeholders and the officer was articulating concerns that media would publish a timeframe, prior to all of the relevant stakeholders being made aware of proposed timeframes. “PSNI staff are public servants and we seek to fulfil our duties in line with our policing purpose. We actively engage with a diverse range of stakeholders to support operational policing and share information to enhance community safety. A contact of mine said he was told by a police press officer not to give me further details about an unusual criminal incident where he had been the victim, but was advised instead to pass the information on to my newspaper’s main rivals. When I confronted the press office supervisor about this total outrage, they denied it of course – but the contact was well-known to me and was the trusted source of several previous stories. So I knew who I believed. The fact the press officer in question used to work for said rivals was a pure coincidence, naturally. I know of a police force which once quite openly introduced a “trust media” contacts list. The idea being that press officers and officers should be empowered to give those on the list more information. All I can say is, if that was what it was like to be on the list, I’d hate to know what it was like to be off it.